The purpose of this social event was for all residents of Shanderry House, to come visit and meet with all residents. Staff and Service Users from other houses were invited along and so too were their children. Some activities for the children including bouncing castles, face painting and judging the on site obstacle course competition! 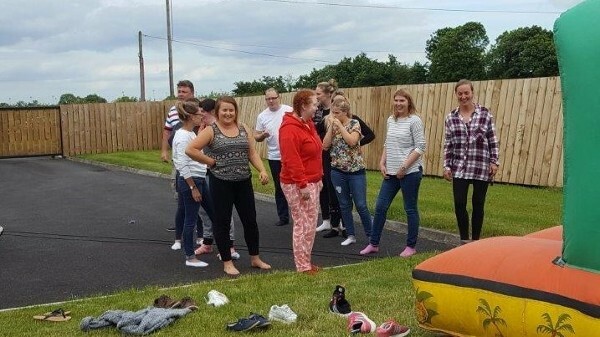 Shanderry House pulled out all the stops when it came to food - Shanderry staff and chefs for the day; Noel Shortall and Eamon Walsh and their Service Users treated guests to a very tasty barbeque with fresh side salads. Service Users Kayleigh Ann, Natasha and Katie made the most beautiful homemade desserts for everyone afterwards also. There was a great turn out and it was a lovely opportunity to meet with all the local neighbours.